The SYSTEM-1 is an innovative, thin keyboard with 25 normal-sized keys. 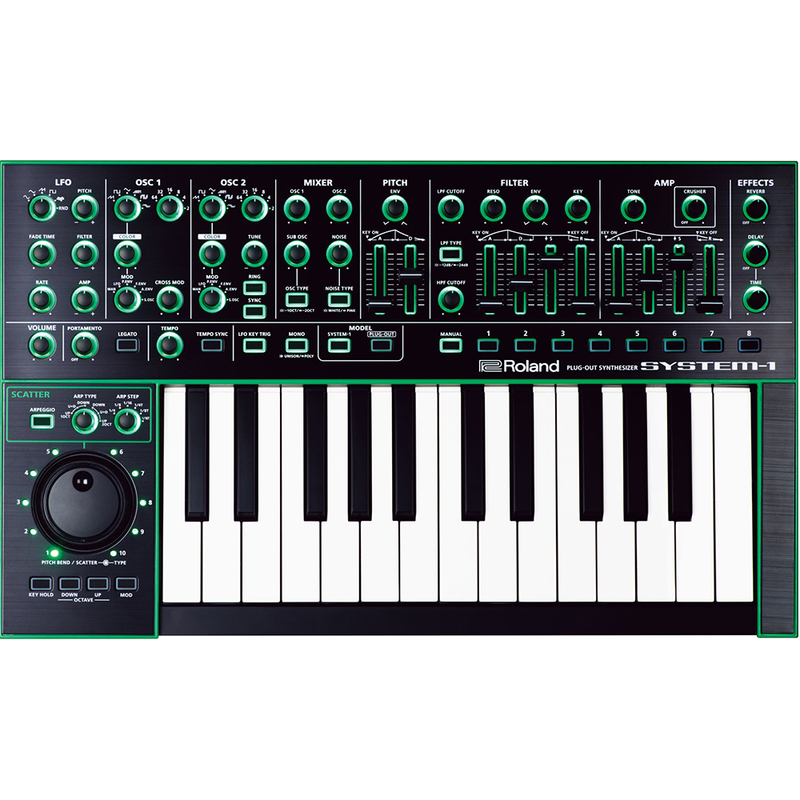 This Roland synthesiser has 73 physical controls, great construction, and an amazing sound with a variety of different controls and effects. It has four oscillators for loads of fat synth tones, and oscillator colours that create continuous waveform changes from simple to complex. All parameters can be controlled with physical knobs and sliders with LED indicators. There is a Tone knob for easy tonal balancing, as well as a Crusher knob for a modern edge. 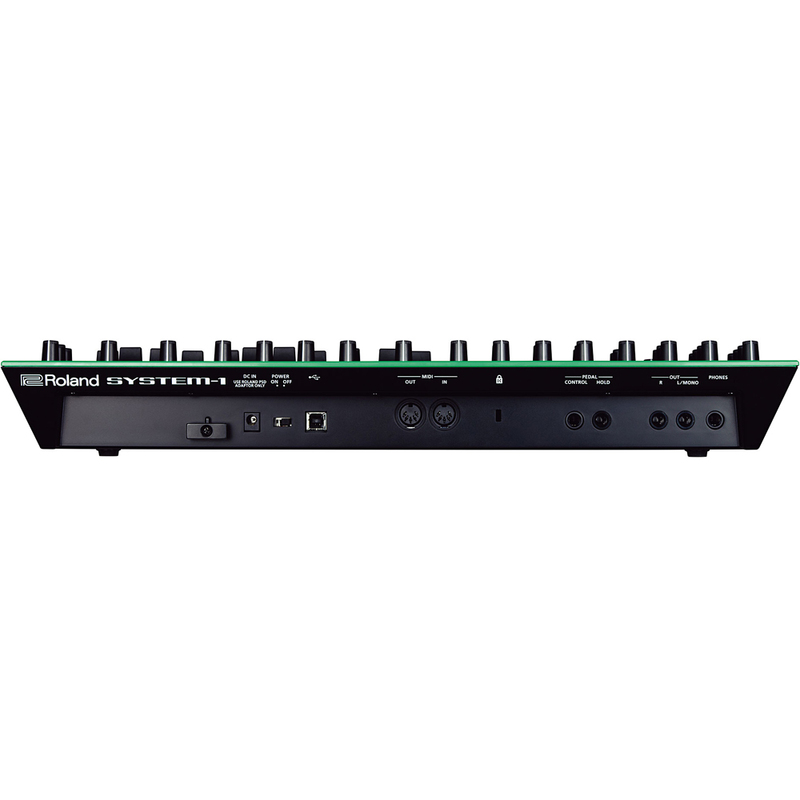 The SYSTEM-1 also features an advanced arpeggiator with Scatter function, and scatter jog dial, which offers 10 different phrase variations with dynamic, real-time control over 10 stages of depth. Additional effects include integrated delay and reverb effects, and Tempo syncing for LFO and delay. The SYSTEM-1 has -12 dB and -24 dB filter types with independent high-pass filters. 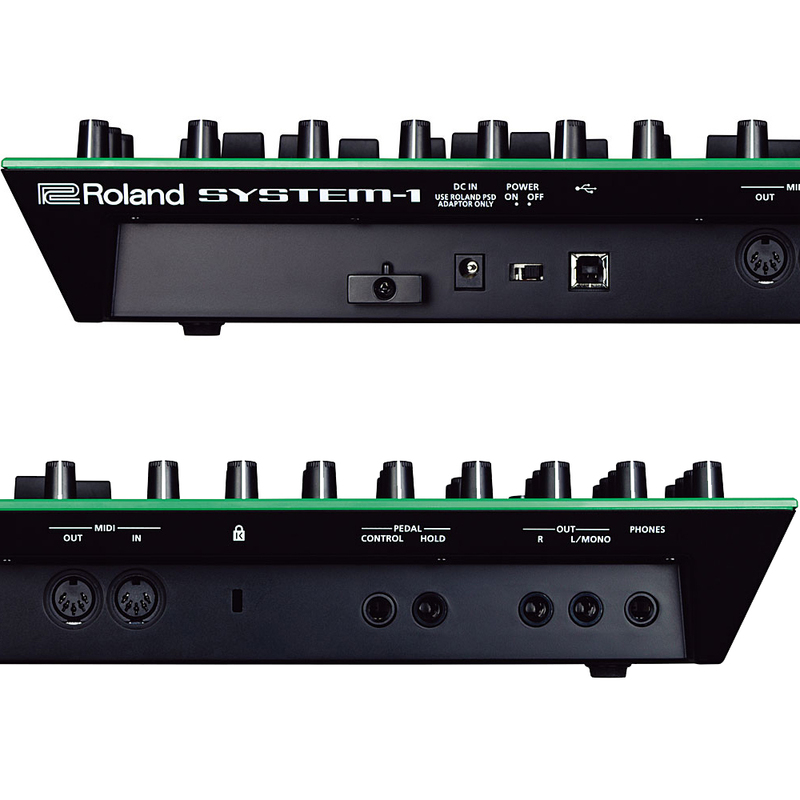 The SYSTEM-1 can act as an interface, and control—and even host—software recreations of classic Roland synthesizers. It gives you access to plug-in versions of legendary Roland synths, with no computer required. You can even switch between the SYSTEM-1’s internal sounds and those of the hosted plug-in. It’s comfortable to play, yet the most compact Roland synth ever. Not only this, but it looks great, and is designed to work seamlessly with other products in the AIRA series. 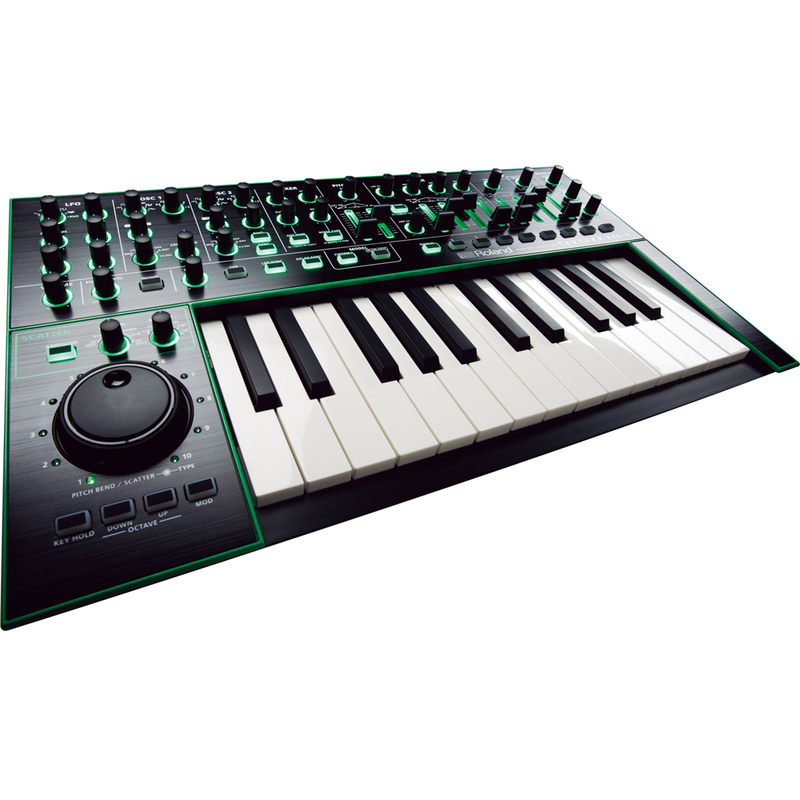 You can connect the SYSTEM-1 to your computer via its USB jack to send and receive both audio and MIDI data, including MIDI clock information to sync with external devices and other AIRA units. You can manage your presents with easy backup and restore over USB.